Home Financial Advice Should I Consolidate My Student Loans: SECRETS Revealed! The answer is: Yes and No — depending on your circumstances. 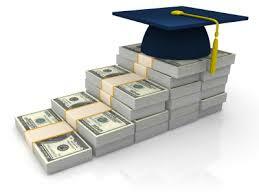 One of the effective ways to lessen your college education expenses is by consolidating your student loans. The Federal Direct Loan Program offers students the Direct Consolidation as a program to combine loans that one obtained from one or more private lenders and varied federal programs into a simple single loan. Consolidation lowers the interest rate of your loans, significantly extends the basic repayment terms you made and simplifies every bit of financial paperwork you are required to file. By merging all of the different college expenses you made, you make paying for your education less tedious. Here are some pros and cons of consolidating your loans. Consolidating your student loans gives you a lower and fixed interest rate. The disadvantage of having a non-consolidated loan is the fact that its interest rate changes and is dependent on how the economy is going. Consolidating the loans means your rate will never change for however long you need to pay them off despite the country’s economic conditions. In fact, the act of consolidating the loans you have with the federal government, you can have a fixed interest rate for an extended repayment period of as much as 30 years. Another benefit of consolidation is you no longer need to send different payments to many lenders. Once you consolidate your loans, the lending company that consolidated your loan will pay off your other loans. All you have to focus on is paying this institution every month. This means less hassle on your part as your responsibility to pay your debts is directed only to a single holder. Consolidating your loans also enables you to avoid late fees and other charges. Thereby, it keeps your credit record clean. So the next time you ask yourself, “Should I consolidate my student loans?” visualize a clean credit record. Once you consolidate your loans, you have a choice to choose the length of time to repay your loan. You have the option to pay within 10-25 years. The longer the payoff time, the smaller is your monthly payment due. A small monthly obligation while you are still job hunting is manageable. Private college loans since the last financial crisis have been very stringent with their conditions on how long you should pay them back. So even if you get low interest rates, you may still end up with a bigger total amount of debt from consolidating. Opting for a longer time to settle your loan would mean a bigger amount in total. For this reason, you have to consider how much I the total amount of loans you consolidate if you are to pay it in 25 years. That is why it’s always important to study every term and fees indicated in the loan. 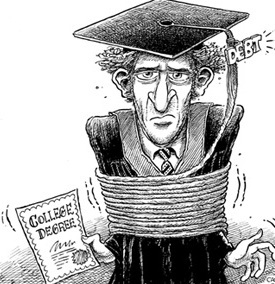 Many people also avoid consolidating their student debts because it’s hard to find fair interest rates from lenders. What is the use of getting a consolidated loan that has no better interest rate than your current ones? That’s why it’s important to consider the length of the term in the consolidated loan relative to the interest rate. Any type of consolidated loan can make you lose some of the important benefits afforded to you by your current loans. Benefits like loan forgiveness, interest rate reduction and automatic debit incentive can come in handy later when you decide to shorten the time you need to pay your debt and lower the interest. That said, the next time you ask yourself, “Should I consolidate my student loans?” use the pros and cons in this list as your final guide.